For women looking to perfect their proportions before donning that new bikini, a breast augmentation is a great option. 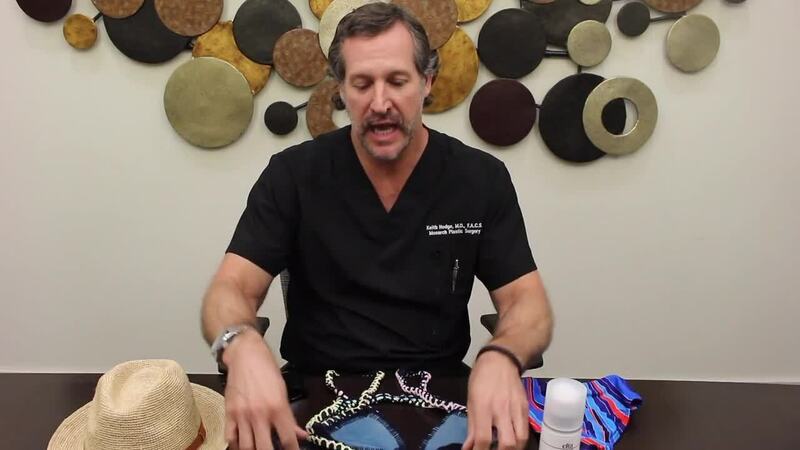 This procedure enhances breast size and shape by inserting a silicone- or saline-filled implant behind each breast. In addition to increasing overall size, the treatment can also help balance differences in breast size. According to the American Society of Plastic Surgeons, breast augmentation is better than ever thanks to recent advancements in implant options and techniques. Case in point: Monarch now offers IDEAL implants, a cutting-edge option that combines the natural look and feel of a silicone implant with the safety of saline implants for the best of both worlds. At Monarch, the process is simple and personalized to ensure patients have the best experience possible — and results perfect for their bodies. In an in-depth consultation with your plastic surgeon, you’ll create an individualized treatment plan and decide on implant size, type and placement. Bottom line: it’s easier than ever to achieve safe, natural-looking results perfect for your body. If body contour is your main focus, liposuction could be the perfect summer vacation prep. Liposuction helps sculpt the body by removing fat from the abdomen, hips, buttocks, thighs, upper arms and other areas. The aim of this procedure is to refine body shape, and it also offers a safe, effective way to remove stubborn fat deposits, reduce cellulite and perform targeted sculpting on specific areas. In addition, liposuction technology has advanced in leaps and bounds in recent years, meaning fat removal techniques are increasingly safer and less invasive, and results are more precise and refined than ever. Our Smartlipo procedure in particular produces amazing results for treating small areas of fat with minimal downtime. And contrary to popular belief, it’s not just for the ladies! Men looking for a trimmer, smoother silhouette are great candidates for liposuction as well. Calling all moms! If anyone deserves a relaxing break this summer, it’s the dedicated mothers out there. And for those looking to head into summer refreshed and swimsuit-ready, our “mommy makeover” has you covered. Combining a breast augmentation, liposuction and tummy tuck, this package treatment is perfect for a refreshed, youthful look that will have you springing into warmer weather with confidence. If swimsuit season has you feeling self-conscious about your midsection, never fear. A tummy tuck, or abdominoplasty, surgically tightens the abdominal muscles and removes excess skin and fat to create a smoother, firmer midsection — ideal for patients wishing to treat stretched or sagging skin and/or muscles from pregnancy or weight loss. This is also a great option for dealing with stubborn fat deposits around the abdomen that aren’t responding to diet and exercise. Results are visible immediately and with maintained health and weight are usually long-lasting. Bikini bothers, begone. Is anyone else ready for the beach? Let Monarch help you jet off into vacations looking and feeling swimsuit-ready! Book a complimentary consult or schedule an appointment by calling 913-663-3838 (Leawood) or (816) 436-3262 (North KC), or visit our website.